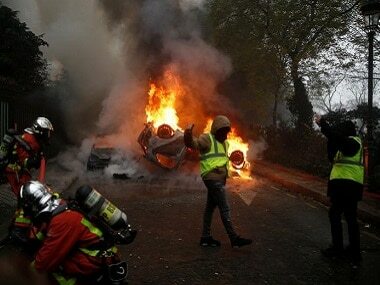 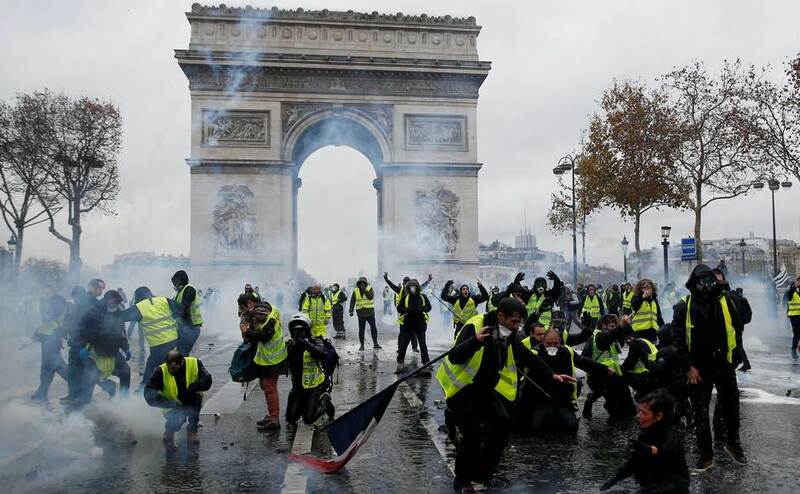 Clad in their luminous road safety jackets, dozens of demonstrators — who accuse President Emmanuel Macron of only looking out for the rich — gathered at dawn on the Champs-Elysees, the scene last Saturday of the worst rioting in Paris for decades. 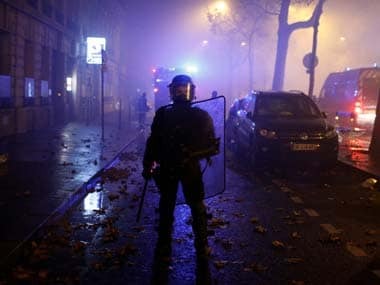 France's most violent urban riot in more than a decade engulfed some of central Paris with demonstrators protesting against rising taxes and high cost of living. 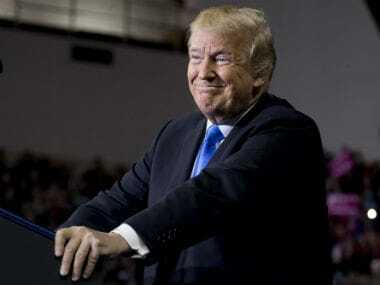 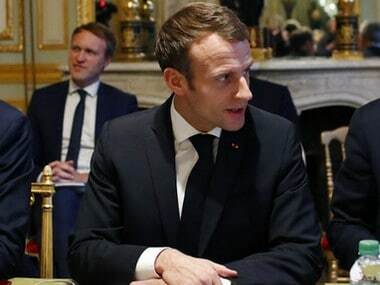 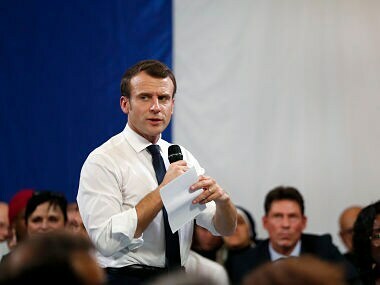 French President Emmanuel Macron on Sunday surveyed the damage from a day of riots across Paris and led a crisis meeting that ended with a call for further talks with anti-government activists who have staged two weeks of protests.